We’ve all seen the movies or heard the stories of the talented young virtuoso who excels on his or her instrument of choice, who wows the crowds with their breathtaking skill and dexterity. But have you ever wondered how they got that skill? How many hours they must have practiced to accomplish such a feat or how they could afford the lessons to acquire such a gift? 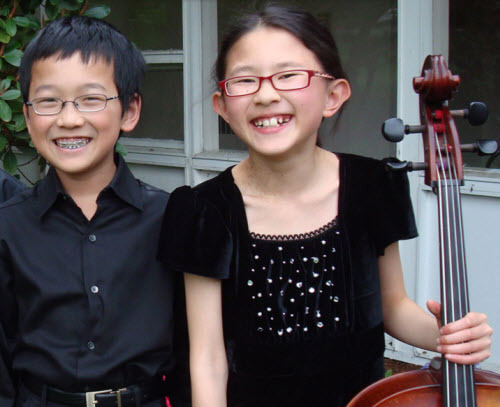 Those kinds of extraordinary talent require an extraordinary musical education and in the town of Shoreline, Washington students with a gift for music are getting the mentoring they need to thrive at the Academy of Music Northwest. You can help. As a private, nonprofit organization, the Academy relies heavily upon the donations of its generous sponsors. And one of the easiest and best ways you can help them is to donate your car for charity through Donate Car USA’s easy online form. The Academy of Music Northwest provides musical instruction for pre-college students at a level which allows them to prepare to be the leaders of the next generation of musical greats. With program offerings beginning as young as 9 years old, the Academy is so much more than a music lesson. It is a community of individuals dedicated to the love and perpetuation of beautiful music. The students participate in so much more than just classes. They participate in musical performances, community outreach concerts, and upper division students have the unique opportunity to receive instruction from distinguished visiting artists. By attending Academy of Music Northwest promising young performers are offered the opportunity to experience joy through music and develop life-long skills that will add to the quality of not only their own life, but the lives of those who hear their music. A brief view of the quality of the music created by the Academy students on several of their YouTube channel videos is proof enough of the high caliber of teaching and mentoring they offer. The students don’t sound like students. They play with a passion and skill far beyond what their age would suggest. DonateCarUSA wants to help these gifted students continue to develop their talents and use them in the service of their communities and you can help them. Donating a car for charity is as easy as one, two, three and your old wheels can help a young musician get just a little further down the road towards musical accomplishment. Visit DonateCarUSA and find out how easy it is to be a part of promoting the arts. Your donations go towards musical scholarships, local outreach performances, and support for continued class offerings. Music, for many, is a joy beyond words and a way to express the inexpressible. The ability to create such masterpieces of music require time and effort. By donating your car to such a worthwhile organization you will be playing a very real part in ensuring that the joy continues on for another generation.